Apple Inc. delivered a stellar earnings report for its fiscal third quarter on Tuesday, as demand for premium iPhones remained resilient and services such as App Store, Apple Music, Apple Care and Apple Pay sales expanded to record levels. The result: Apple’s fiscal third quarter shows how the iPhone maker is finding alternative means to grow amid the threat of a smartphone slowdown in developed markets. 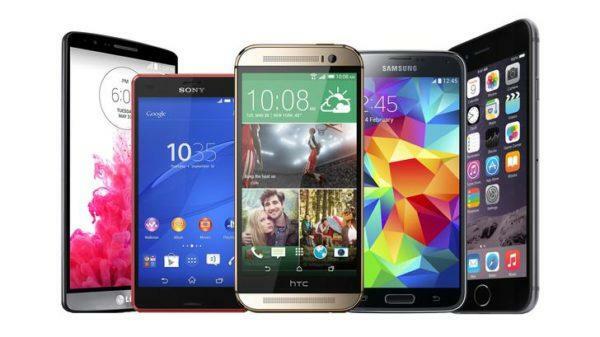 Research firms International Data Corporation (IDC), Counterpoint Research, IHS Markit and Canalys all reported that the worldwide smartphone industry has entered into a slowdown. Smartphone shipments declined 2 percent annually to 360 million units in Q2 2018. 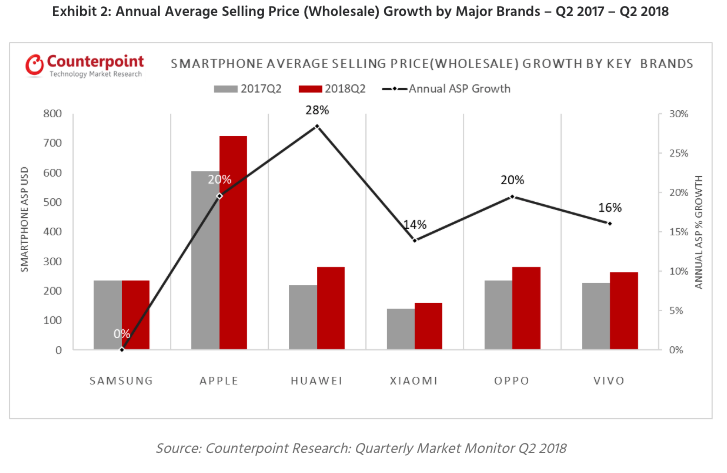 China’s smartphone market has declined continuously for the last four quarters, affecting the shipment growth of some Chinese brands like OPPO, vivo, Meizu and Gionee. Chinese brands have continued investing in countries and regions outside China to offset weak demand in their home market. India, South East Asia, Europe, Middle East and Africa being the key markets for expansion. 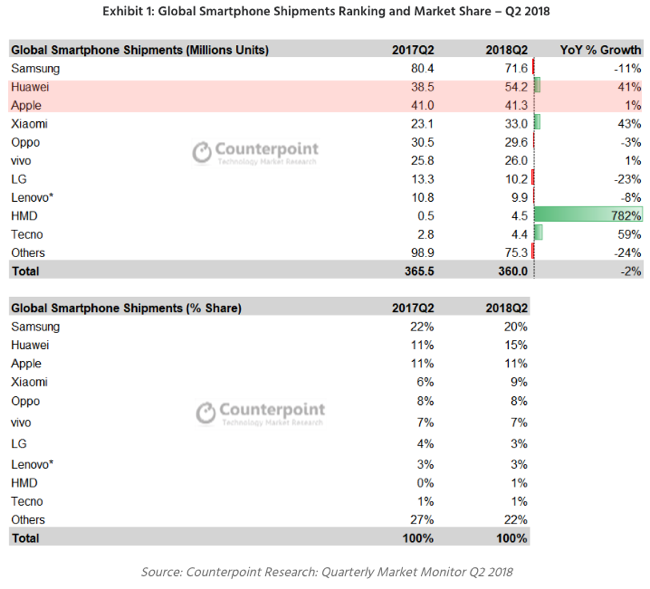 The analysis specifies that ten smartphone manufacturers captured roughly 79 percent of the market, thereby leaving 600 brands to fight for the remaining 21 percent. With too many brands saturating the marketplace, the report said smartphone demand has cooled in developed markets like China, North America, and the European Union, where replacement cycles are expanding. Huawei Technologies Co. surged ahead of Apple Inc. in a deteriorating Chinese market and seized the second spot in the global smartphone shipment rankings for the first time just behind Samsung Electronics Co., solidifying the emergence of Chinese competitors. Huawei shipments grew 41 percent annually in Q2 2018. The company managed to be the fastest growing (21 percent) smartphone brand amid a declining China smartphone market, and grew fully 71 percent overseas. Huawei’s continuous efforts to expand in markets outside China has resulted in strong annual growth in Europe (+75 percent), MEA (+67 percent), and in India (+188 percent), where its Honor brand retained its place in the top five smartphone rankings. Apple shipped 41.3 million iPhones during Q2 2018, up 1 percent compared to the same quarter last year. iPhone X remains the top seller for Apple during the quarter. ASP’s fell marginally compared to the previous quarter due to the greater mix of iPhone 8, 8 Plus and older iPhone models. Second quarter Apple shipments remain flat in China year over year. During the quarter, share of online sales for Apple grew both sequentially and annually due to comparatively higher discounts available online as compared to offline channels. Apple had a slow quarter in India, the third largest smartphone market globally. It underwent changes in its distribution strategy. Apart from this, its domestic assembling is yet to pick-up pace, which means the company is still relying on imports for its sales in India. Apple had 1 percent market share during the quarter, its lowest in recent history. Samsung Electronics’ quarterly earnings were disappointing when it reported earnings Tuesday. The South Korean company, blamed the drop in revenue on “softer sales of smartphones and display panels.” The company’s most powerful smartphone, the Galaxy S9, went on sale at the end of the previous quarter, but Samsung describes its performance as “slow. Analysts recently forecasted that the Galaxy S9 would be worst-selling Galaxy S flagship phone since 2012’s Galaxy S3.